Last week I was looking at fabric head-boards for a client of mine. We have a fantastic patterned fabric that we like and if we go ahead with this option, we would keep the head-board style simple so to let the fabric shine. 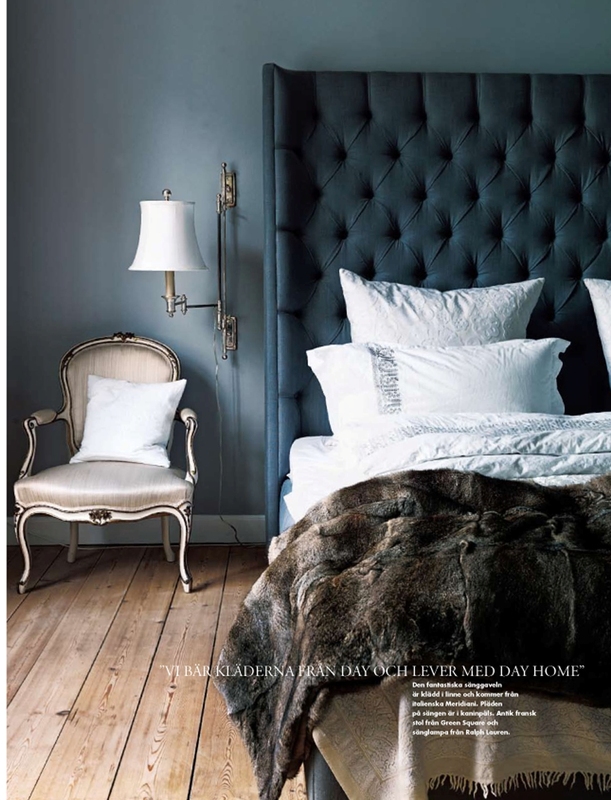 I'm liking this bedroom with its own unique fabric head-board - the room has an overall grand style yet is still simple. Love the colours too.